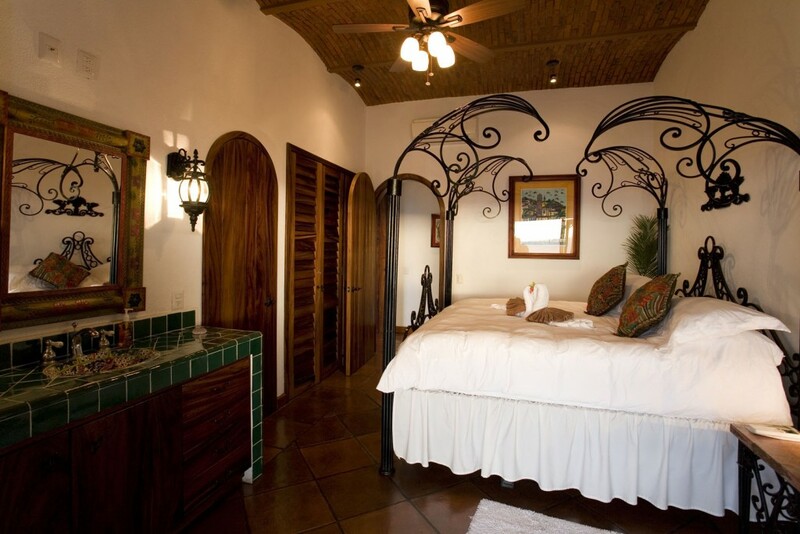 Six Master Suites feature their own private bathroom, vanity and air conditioning. 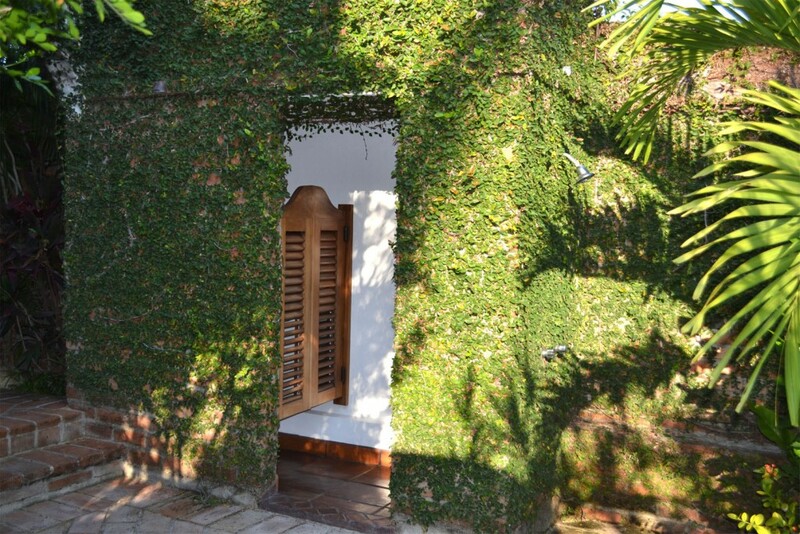 The Garden Room, with en suite bathroom, showcases a relaxing garden view where several varieties of native plant species have made their homes. 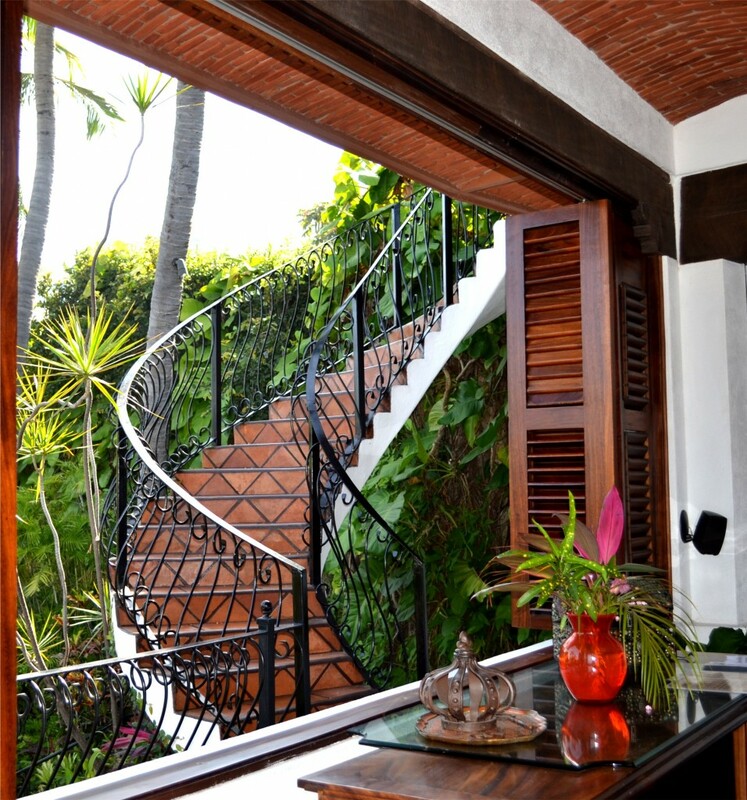 The Bay View Rooms share a veranda, adjacent to bar and seating area. 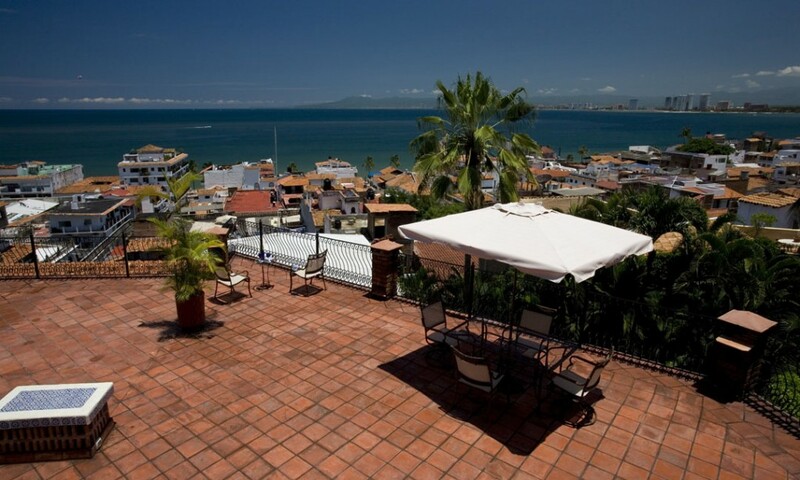 Watch the sun set on the Bay. 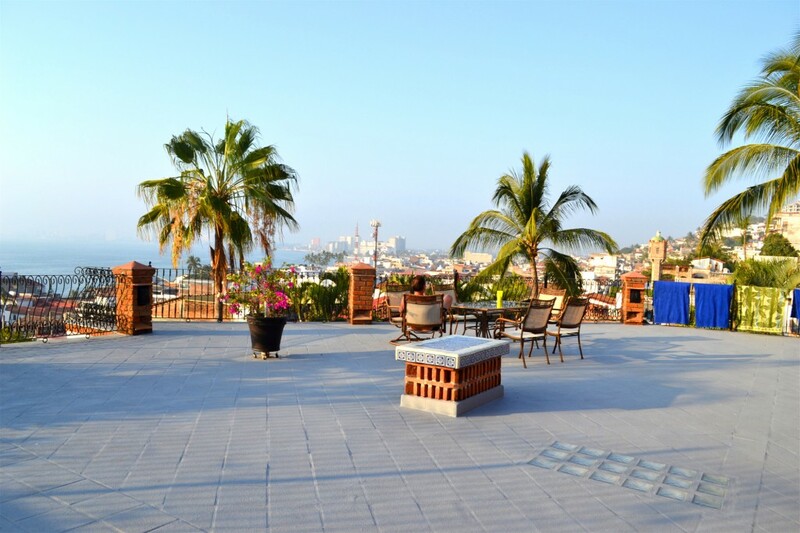 It’s the perfect place for watching maritime activity, whale spotting, or enjoying the nightly fireworks show. 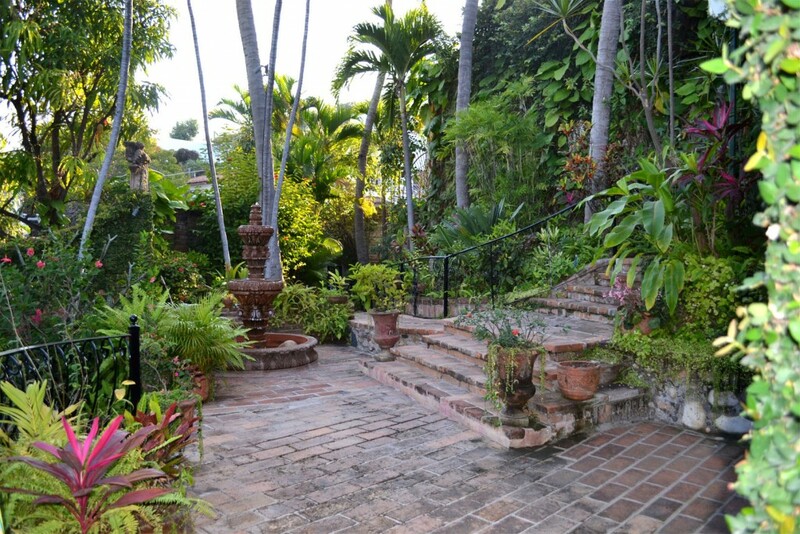 Grounds Suites are located on the grounds level, opening up to lush, private gardens and fountains with the appeal of your own private oasis. 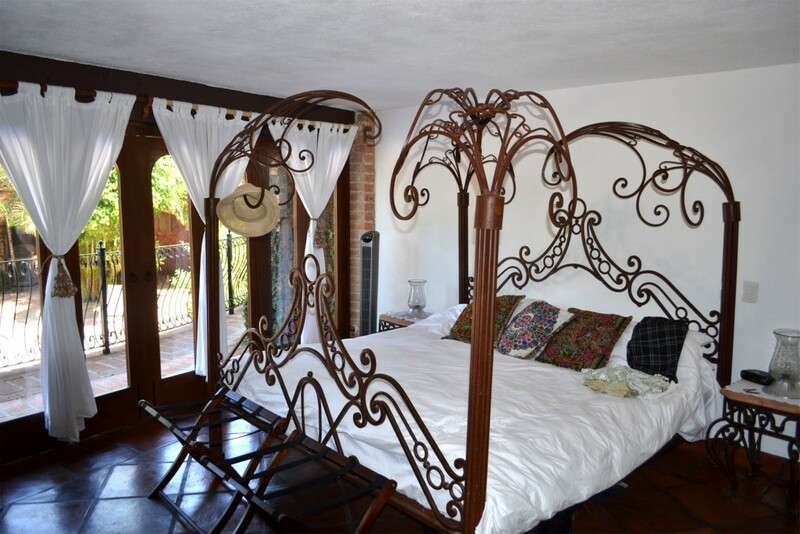 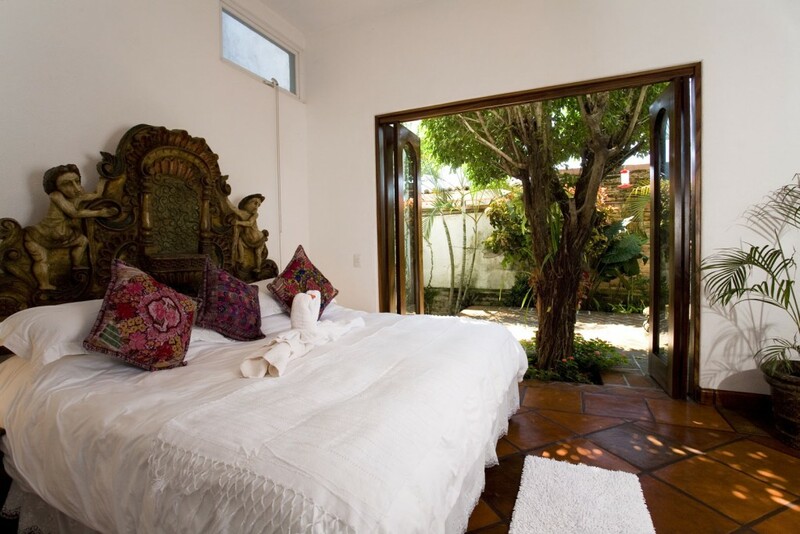 One bedroom features two single beds which can be adapted for a king size bed. 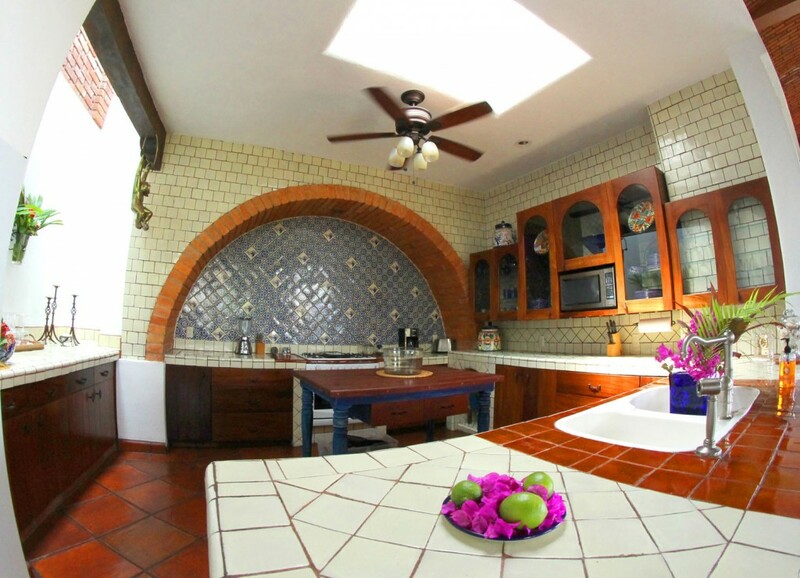 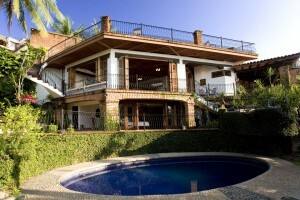 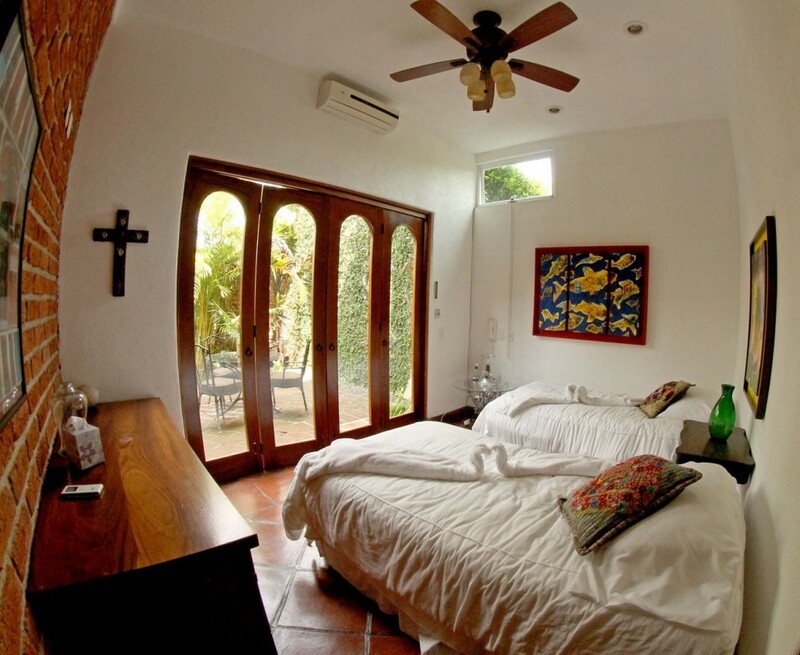 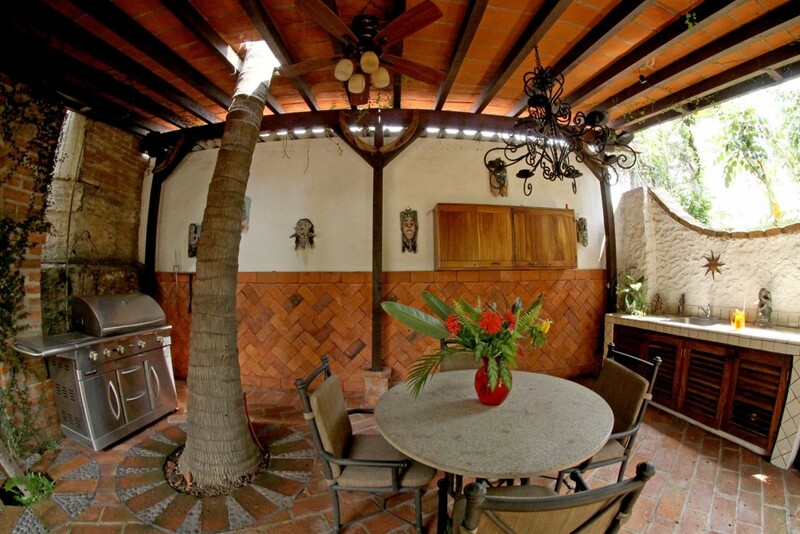 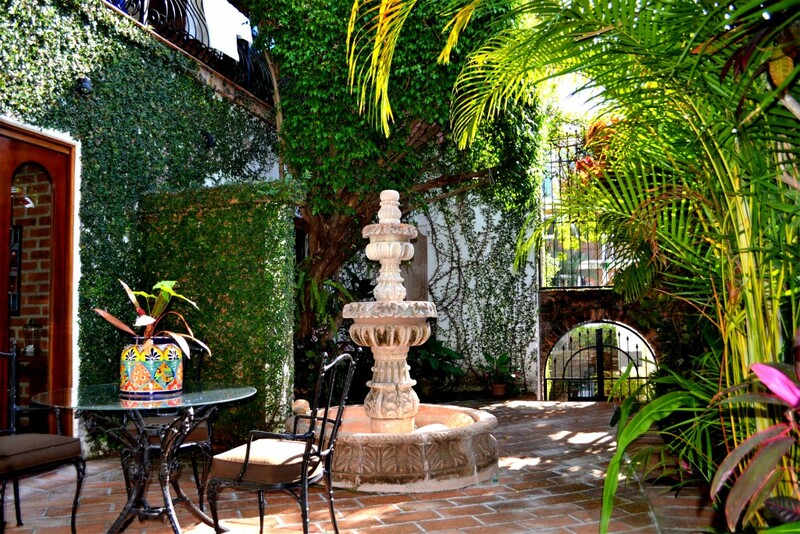 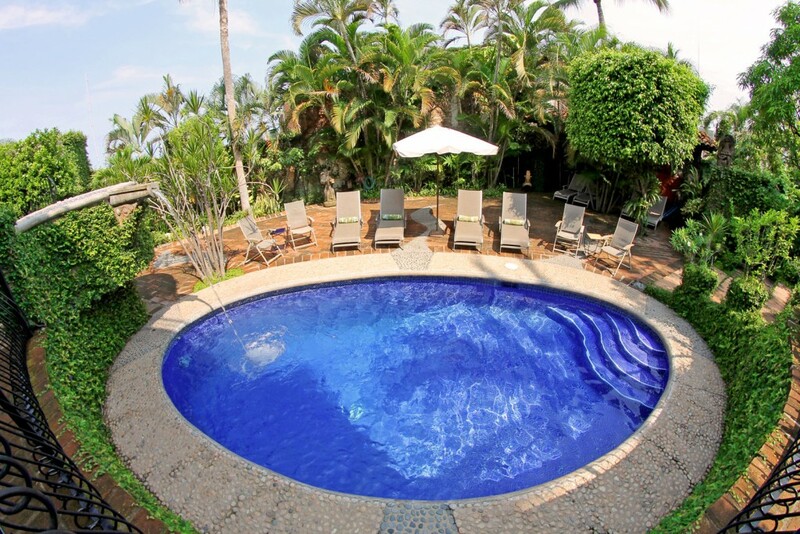 The grounds surrounding Casa Corona Villa offer a very private setting in the middle of the “hustle and bustle.” Lush gardens and palm trees surround the entire property, offering a safe and secure private oasis for relaxation. 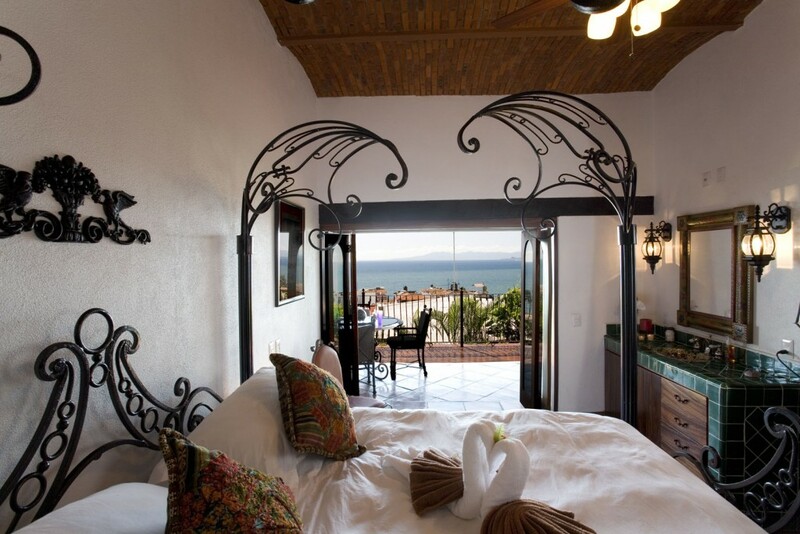 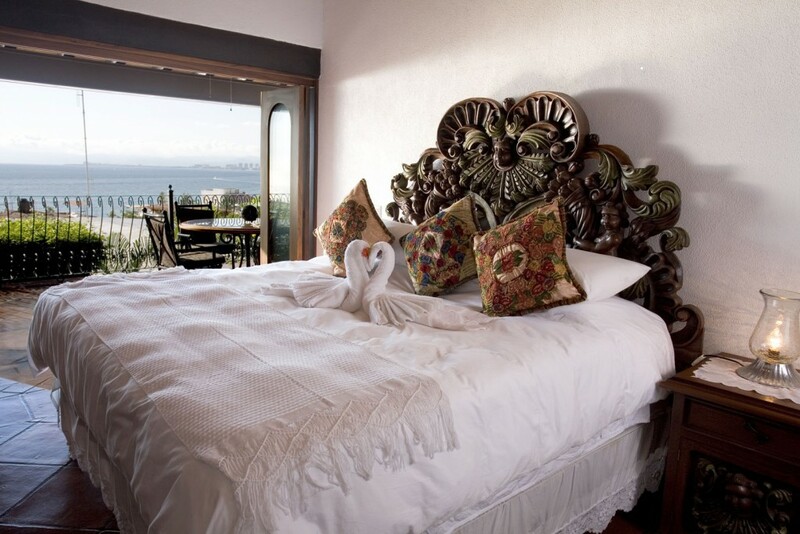 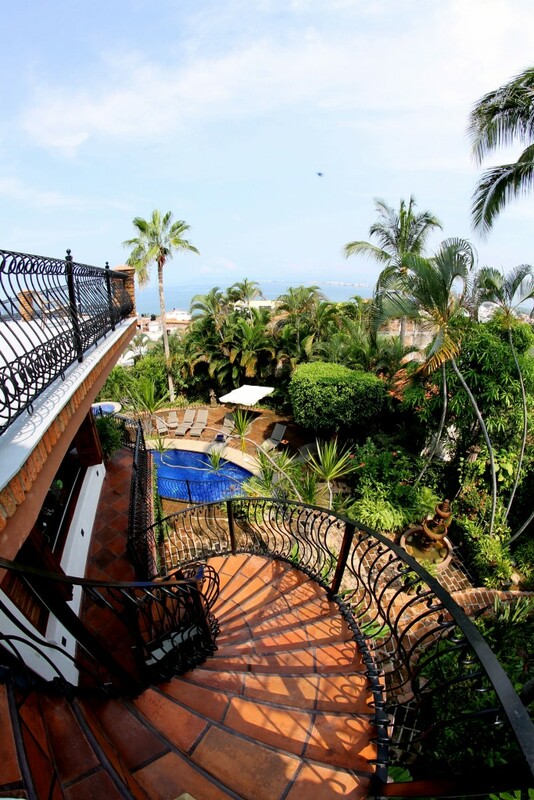 Sweeping panoramic views of the Bay greet you as you step up the elegant wrought iron staircase onto Casa Corona’s Rooftop Terrace. 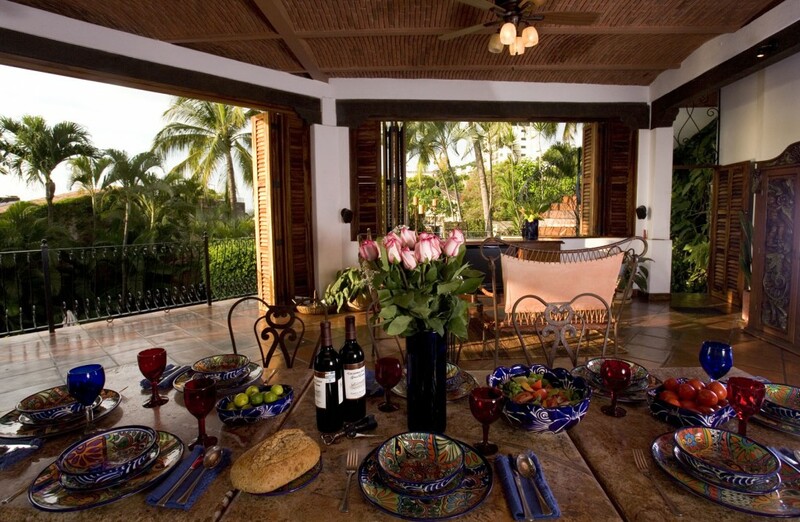 Perfect for formal or informal gatherings, guests enjoy the cool ocean breeze under the canopy of relaxing patio furniture. 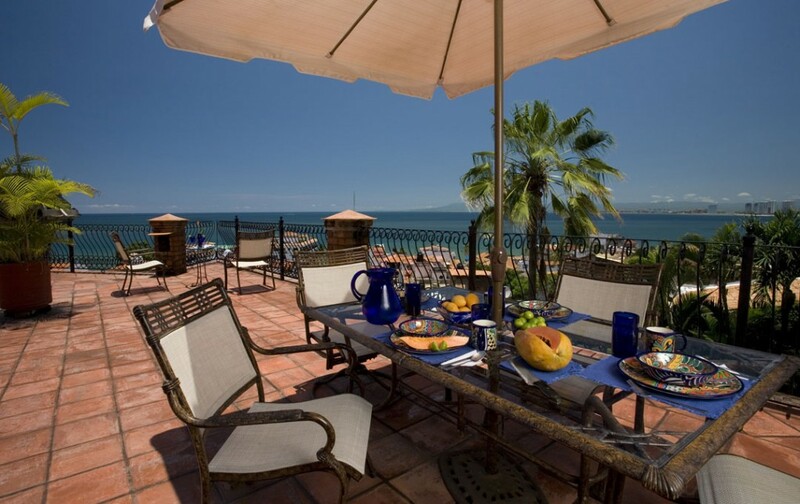 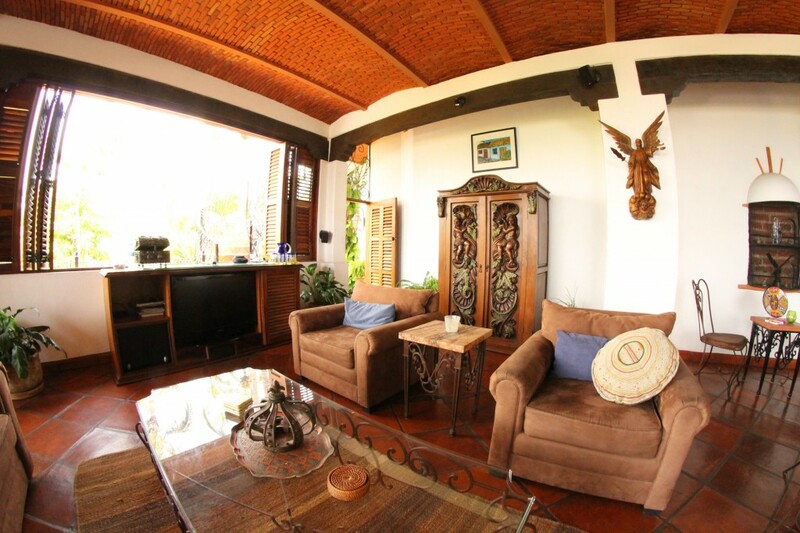 Equally suitable to enjoy your morning coffee at sunrise and the nightly fireworks show at dusk with a Corona in hand.